JSerra Athletics invites each member of the Lion’s Pride to cheer on the winter sports participating in the CIF Southern Section Playoffs. 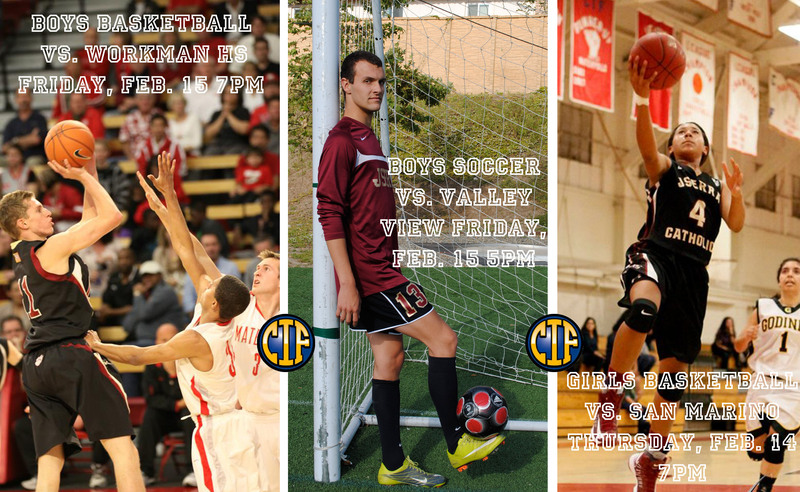 The Lions go head-to-head with some of the best teams in Southern California this week. The current game schedule for the CIF Playoffs are below. Please note that each game is a CIF sponsored event hosted at various locations. Girls soccer will be hosted at the Fred Kelly Stadium as they face-off against Villa Park High School. Game begins at 7 p.m. Thursday, February 14. Tickets are $8 for adults and $5 for students with valid student ID. No staff ID’s will be excepted at any CIF game.